Samsung Galaxy S4 (LTE+) I9506 users who wish to root and install ClockworkMod (CWM) recovery on their devices, may follow our step-by-step guide. This tutorial uses CWM recovery released by XDA-Developers member, dridri85. The CWM recovery allows Galaxy S4 users to root their devices easily. This method completely supports Samsung Galaxy S4 with LTE+ (GT-I9506). 1. Install USB Drivers for Samsung Galaxy S4 on your computer. 6. The CWM recovery works only on the LTE+ version of Samsung Galaxy S4 (GT-I9506). Applying this on any incorrect variant might brick the device. Verify the model number of the Galaxy S4 by selecting Settings >> About Phone. Step 2: Copy the Root Package .zip file to the SD card of your phone. Step 3: Switch off the Galaxy S4. Then boot the device into Download Mode by pressing and holding Volume Down, Home and Power buttons together until a construction Android robot icon with a warning triangle appears on screen. Now press the Volume Up button to enter Download Mode. Step 5: Connect the Galaxy S4 to the computer using USB cable while it is in the Download Mode. Wait until Odin detects the device. When the device is connected successfully, the ID: COM box will turn to light blue with the COM port number. Additionally, the successful connected will be indicated by a message saying Added. Step 6: In Odin, click the PDA button and select the CWM/PhilZ Touch .tar file. Verify that Auto Reboot and F. Reset Time checkboxes are selected. Also, ensure the Re-Partition option is NOT selected. Step 8: Once the installation process completes, your phone will restart and soon you will see a PASS message with green background in the left-most box at the very top of the Odin. You can now unplug the USB cable to disconnect it from the computer. Step 9: Boot the device into CWM recovery by pressing and holding Volume Up, Home and Power buttons together. Step 10: In CWM recovery, select "install zip from sdcard" and then select "choose zip from sdcard". Now, navigate to the Root Package .zip file that you copied earlier and confirm the installation by selecting Yes. Samsung Galaxy S4 (LTE+) I9506 running on Android 4.3 Jelly Bean is now rooted successfully. You can now install any app that requires root permission. Verify the root status of the device by downloading Root Checker app from Google Play Store. 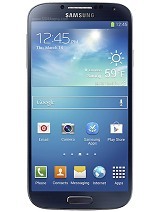 Click here to know How to Update Galaxy S4 (LTE+) I9506 with Android 4.3 Jelly Bean official firmware. i root my i9506 perfectly and worked 100% but when i reboot mobile root permeation disable then i can step 10 again on every reboot. plz help me on this.. So far there has never been a report of any problem. Try again with PhilZ Touch recovery or the latest version of Root Package provided above. oui tout a fait, si on redémarre, on perd le root, il faut réinstaller le zip a chaque redémarrage. No problem so far, thank you for the good and easy instructions, really helped.